Osram Opto Semiconductors has developed new broadband infrared LEDs (IREDs) which can help enable near-infrared spectroscopy on consumer devices. This means consumers will soon be able to use their smartphones to check how fresh supermarket food is, measure the calories in canteen meals and verify whether the tablet in their hand really is a painkiller. When Osram Opto Semiconductors presented the Oslon Black Flat SFH 4735 at the end of 2016 it opened up the consumer sector to this technology. To date, Osram is the only one to offer such IREDs. With the tiny SFH 4776, which emit in a wide wavelength range, will help enable spectroscopy applications to be integrated into smartphones. Near-infrared spectroscopy enables such things as the water, fat, sugar and protein content of food to be measured. This technology uses the characteristic absorption behavior of certain molecular compounds. If a defined light spectrum is directed at a sample it is possible to determine the presence and quantity of certain ingredients from the wavelength distribution of the reflected light. An IRED, such as the SFH 4776, acts as a compact light source for the spectrometer. The Synios package of the SFH 4776 is only 0.6 mm high and has a particularly space-saving footprint of 2.75 mm x 2.0 mm, making it ideal for use in smartphones. With the development of SFH 4776 Osram Opto Semiconductors is therefore addressing the latest trends such as technology-based fitness monitoring and the gradual spread of electronic aids in the health sector. Like the SFH 4735, SFH 4776 is based on a highly efficient, blue-emitting ThinGaN chip in UX:3 technology. A phosphor converter specially developed for spectroscopy converts blue light into infrared light with a broad wavelength range of 650 nm to 1050 nm. 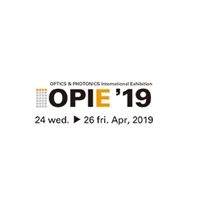 By making improvements to the phosphor material, developers at Osram Opto Semiconductors have succeeded in increasing the intensity of the light by an impressive 60 percent compared with the predecessor component. For the customer this means an improved signal-to-noise ratio and therefore simpler analysis of food and medicines.